Already at home in the Baltimore Museum of Art, the Circle 3 Magazine Table is a stunning example of form and function suited for home or office. Available in maple and walnut. 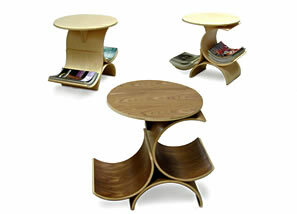 The Circle 3 Magazine Table is available from our online store.